Fantastic apartment of 66 m ² in new building. It has 2 bedrooms, a bathroom with shower, a cosy living room with an open kitchen, fully equipped with cooking facilities. The accommodation also has heating and air conditioning, WiFi, lift and concierge service. 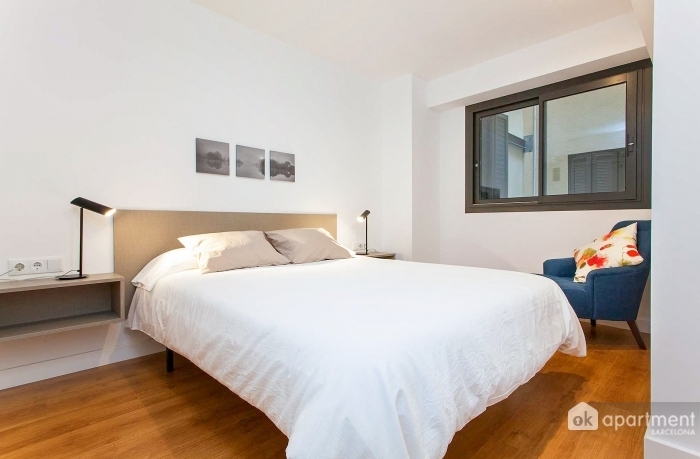 The apartment is located in the Eixample Izquierda, a short distance from the Parc de Joan Miró and a few metres from Sants station. Area with all amenities and perfectly connected to the rest of the city by public transport, the nearest underground stations are Girona (L3 Green) and Rocafort (L1).